Honda Racing Corporation takes great pleasure in welcoming Monster Energy – producer of energy drinks – to the ranks of the official Honda HRC Rally Team. Milan’s Spazio Davide Campari today hosted the official presentation of all the brand new 2017 Honda models. Also unveiled were the new HRC teams set to compete in the various motorcycle disciplines: MotoGP, MXGP, Trial and Rally. The event’s big news was the announcement of energy drink-maker Monster Energy as the Rally team’s leading collaborator. The team will now be known as: Monster Energy Honda Team. All those present in the Spazio Davide Campari were able to witness how the team – made up of Joan Barreda, Paulo Gonçalves, Michael Metge, Ricky Brabec and Kevin Benavides – revealed the new livery that the squad will now be sporting. Monster Energy unites with Team HRC in a long term agreement for the rally team project. Monster Energy is an energetic and youthful brand, strongly linked to motorsport, and in particular, motorcycle racing. The company has strong faith in the commitment and ambition of Team HRC and their desire to accomplish the main aim of winning the Rally Dakar. “The Dakar is the ultimate challenge for every off-road enthusiast. It’s much more than a race, it’s a pure human adventure and teaming up with Factory Honda could not have been a better partner,” said Mitch Covington, vice president of sports marketing, Monster Energy. Tetsuhiro Kuwata, Honda Racing Corporation Director and General Manager: “We’re really proud to start this collaboration with Monster Energy for the Dakar Project. This partnership will help and strengthen the team in its goal: to conquer the Dakar Rally”. 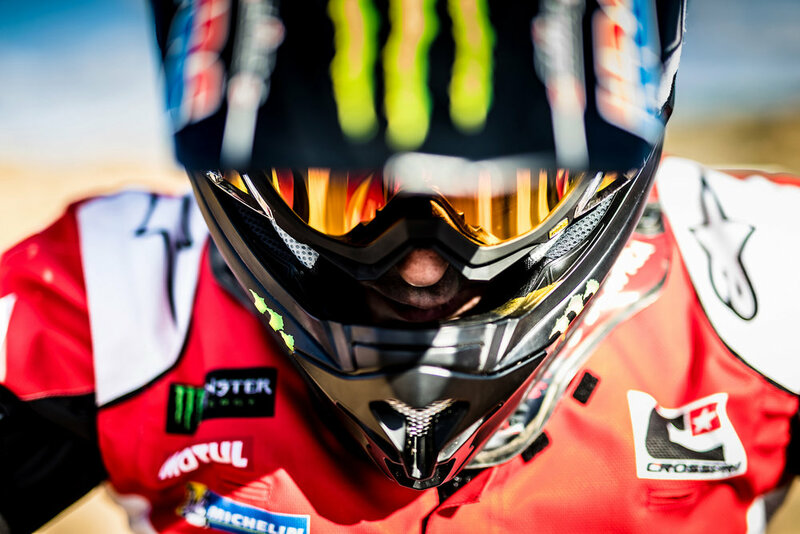 Monster Energy’s image will be displayed on various parts of the Honda CRF450 RALLY and likewise will emblazon the equipment and outfits of riders, team members and Team HRC’s support vehicles.